How to Get the Raise You Deserve? It is only when you believe in yourself that others can believe in you. Because after all, in today’s world no one is going to get up and take the bullet for you, instead you have to be attentive at all times and make sure you stand up for your rights. Knowing your own worth is the first step involved in you, eventually going up to your boss and asking him in a polite manner about the raise which you are entitled towing to your hard work. It is often considered improper to talk about money or even go as far to ask for a raise, however nowadays you are respected more at the work place when you are able to air your views in an uninhibited manner. After you have worked tirelessly and not been granted the necessary reward then it is not considered too forward of you to go right ahead and ask for what is rightfully yours. If you believe you deserve a raise then instead of beating around the bush and dropping indirect suggestions of why you deserve it, is not going to help you in anyway. Seniors and bosses have a number of important things to deal with so they will almost never pick up on subtleties. So if you have something to say, then go right ahead and say it. Say it in no uncertain terms that you think that you have worked hard so getting a raise is not simply something that you want but it is something which you most definitely deserve. A simple way to convince seniors that you deserve a raise is by presenting distinct facts before them. 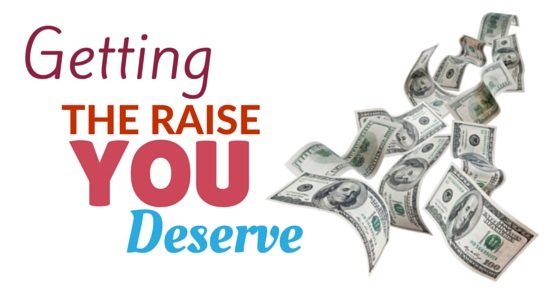 If you have been steadily doing your work well, making sales, adhering to deadlines as well as getting employee of the month awards then how can they even think of denying you your raise? Asking for a raise isn’t something that you should be ashamed of; If it is something which you deserve as well as have worked hard for then no one has the right to deny you your dues. An important step in getting the raise that you deserve is by making yourself visible. If you are the sort of person who works silently and unobtrusively in the work place then chances are that people are going to tend to overlook the fact that you too are an indispensible part of the work place .However along with doing this make sure that once you have spoken to your senior or boss about giving you a raise then too you make yourself visible so that he or she will know that all that you said about yourself is legitimate. It is never a good idea to approach your boss while he is in the middle of another job as there is a big chance that he or she might not be able to pay attention to what you have to say and in addition to this he or she might forget about your request as soon as you turn your back to leave. Remember what you are going to be asking for is important for you so ensure that you are speaking to someone who is willing to respect you enough to give you their undivided attention. It would benefit you to make a short appointment with the person concerned so that he knows that you mean business. It would be absolutely disastrous for you to bring up the matter of a raise during a business lunch or even during an office party when you’re senior will wonder what’s gotten into you. Asking for a raise, while you catch your boss in the elevator, cafeteria, in the driveway or even while he or she is in the hallway, could indeed be a silly move on your part. There is no better place to schedule the meeting with your boss than either his or your cabin. Before you go around scheduling meetings with persons who are much higher than you in the hierarchy of your work place it would be better for you to speak to your direct senior as he or she is in touch with you on a daily basis and knows how much hard work you have been putting into your job. If you are able to convince him or her about your views on why you deserve a raise then you can tell your senior to put in a word on your behalf to the boss. Let your performance speak for itself to convince the boss that you are an integral part of the office work force and you are indeed an asset to the company. Once they realize your worth they will surely not hesitate to give you a raise so that the thought of leaving the company does not even cross your mind. Companies know that it is only when individuals are satisfied and content that they are able to work hard and give their best. After you have tirelessly given your one hundred percent to the company and think it is time for them to repay your efforts with a raise, ask yourself if you are selling yourself short by only asking for money. Having money is vital to keep up with the growing day to day expenditure but you should also consider asking for more than money, in the form of health insurance or even allowance for your accommodation. All big companies offer these facilities so if you are not receiving these basic benefits, then do bring it to the notice of your seniors. Once you have put forth your views and stated the facts and figures as to why should you be getting a raise, all you can do is wait for them to take their decision. First, if it is up to one person, then he or she might inform you immediately that the company is willing to give you the raise you deserve, however if the decision is up to a number of people then you should be willing to wait a couple of days before you hear from them. If you do get a positive response then you know your efforts aren’t going unnoticed. If you find that after all your effort, they are unwilling to give you your dues then do not hesitate before leaving the company, You can easily find yourself a job somewhere else, somewhere where they will appreciate your worth and hardwork. At the end of the day you should remember that you are not offering any of your services free of cost to the company. No good company will ever, not reward you for efforts. So here is a complete guide of the steps you should follow along with the things you should keep in mind when trying to get the raise which you deserve. Do not over think it, just go right ahead and speak the truth. The worst that could happen is that you won’t receive a raise, then in such a case you will know that this is not the kind of company you want to work for.